Teretonga Park is apparently the southern most racing circuit in the world. The circuit, primarily used for tin-tops and junior formula races, can be found in the south-west regions of New Zealand and it is at this circuit that the Toyota Racing Series begins its 2010 campaign.These 1.8 litre 200BHP machines just fall short of Formula 3 in terms of power output; however any drive stability gained by lesser power is lost thanks to less efficient aerodynamics, thereby making these cars slide a little more through corners. Since the end of the 2008-09 season, the reigning champion Mitch Cunningham (brother of IndyLights pilot, Wade) has found things a little tough going in the New Zealand Porsche GT3 Cup and although there were rumours that the former IndyLights driver may return to the series, it has yet to come to fruition. Another exponent of the Toyota Racing Series is Australian driver Brendon Hartley, who is now the reserve driver for the F1 Red Bull Racing Team. With Cunningham absent, the series welcomes three drivers that may become contenders for the title – 2009 Australian Formula Ford Runner-up, Mitch Evans; Formula Renault 3.5 pilot, Sten Pentus and Formula 3 driver Lucas Foresti – the latter is managed by former Formula 1 and CART legend, Roberto Moreno – who is taking part in the series in order to keep himself “race-fit” for the upcoming season. An odd inclusion on the grid is the former A1GP driver, Earl Bamber, whose career appears to have ground somewhat to a halt since the collapse of the World Cup of Racing in 2009. Rejoining the Toyota Racing Series may be seen as a step backwards for the experienced racer.For the first of the three races of weekend, 15-year-old Evans lines up on pole in a field of just 11 cars; although the field is only separated by just over a second. The Estonian Pentus sits in second place, with Daniel Jilesen and Andrew Waite just behind, while Bamber and Foresti occupy the third row of the grid. The cars form up on the grid, but when the lights go out it is Pentus who jumps ahead of the pack following a poor getaway by the young Evans – there are no changes behind the front two though, as the pack fall into a single-file formation around the very fast first corner. It’s not all easy going though as Bamber begins to push the Brazilian Foresti hard for 5th place – Bamber isn’t the only former-A1GP man on his team, as a number of Team New Zealand mechanics have also dropped back to work on his Triple X Motorsport car. The race at the front changes dramatically on the sixth lap as Pentus overcooks his number 20 Giles Motorsports machine in the last corner and goes far too wide – Evans sees an opportunity to grab the lead and he takes it with an assured dive. As the first race wears on, Foresti pulls away from Bamber and latches on to the back of Waite; however while Foresti is easily the more stable of the two cars through the corners, Waite continuously pulls away on the start/finish straight. Not far ahead of them, another battle is developing between Jilesen and Pentus – Jilesen has had a very quiet event up on to this point, too far ahead of Waite to be worried by him, but not close enough to Pentus to properly challenge; however the New Zealand driver has only a couple of laps to challenge the second-place driver.Just as the last lap gets under way, the car driven by Stefan Webling begins to wobble violently on the straight as his right-rear tyres shreds up. Webling, who was in 9th position, pulls off to the left and vacates his stricken machine. While the race ends poorly for Webling, Evans gets his dream start to the 2010 Toyota Racing Series campaign with an easy win – once the youngster has passed Pentus, there were no challenges to worry him. Pentus and Jilesen file home in 2nd and 3rd places, completing a 1-2-3 finish for the Giles Motorsports team – an absolutely dominant performance during which no other team owner got even close. This was very far from the most exciting race I had ever seen. 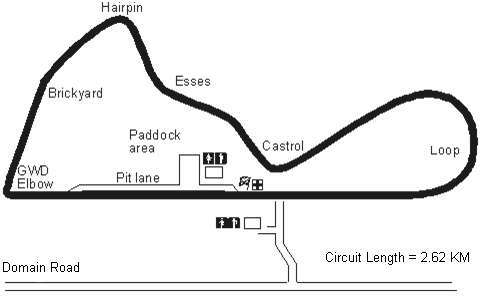 Although Teretonga Park is wonderful circuit, the racing on this occasion was somewhat flat – hopefully the second and third races will provide more action. After picking up a solid victory in the opening race of the season, 15-year-old Mitch Evans looks to notch up a second success and is helped greatly by starting on pole. Once again Sten Pentus starts from 2nd place with Daniel Jilesen, Earl Bamber, Andrew Waite and Lucas Foresti occupying the positions behind. As the lights go out Evans begins the 16 lap race well and quickly pulls out a gap on Pentus who maintains his second position. The action takes place behind the leaders though as a three way battle for third place sees the experienced Bamber drop behind Waite, who looks to pressure for the next position. It doesn’t last long for Waite as Bamber forces his way through and retakes his 4th place – behind these three, Foresti sits patiently as Waite begins to fall in his clutches. Unfortunately it looks as if Foresti once again has his car set up for the turns as every time he gets onto the start/finish straight, Waite pulls away from the Brazilian. Webling – the only retiree from the first race – takes the fast turn 1 with far too much gusto and nearly loses the back end on the first part of the exit. 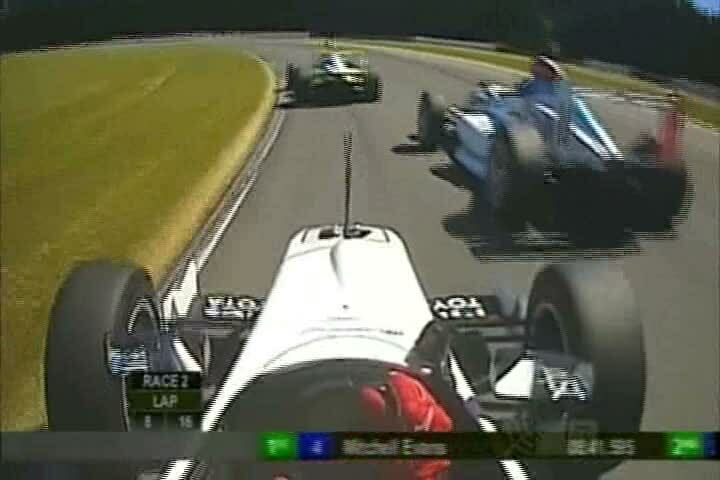 An excellent save amidst a flurry of hands in the cockpit inside his Triple X Motorsport machine. Webling isn’t the only driver to nearly lose it as on the 5th lap, race leader Mitch Evans get the entry into the second part of Castrol completely wrong and puts his left-side set of wheels off onto the dirt. Pentus is not quite close enough to take advantage of the error, but Evans now has clean his tyres off as well as facing more pressure from behind. Nathan Morcom in the ETEC Motorsport machine spins it a lap later and loses the engine momentarily. It takes a moment for nerves to gather themselves and the New Zealand driver turns his car around and gets back on track. It is odd that there have been three spins in two laps – despite that trickiness of the cars, the conditions are absolutely perfect with dry, hot conditions for the whole weekend therefore making these errors stand out a little more. Half way through the race and down near the back Jamie McNee goes around the outside of Webling through turn 1 – an excellent move for 9th place, but he’s not the only one to try as Bamber attempts a similar move on Waite. A determined effort, but it is not enough and Waite holds station for the moment. As the race tails off into its final laps, gaps appear between the cars as drivers between to settle into a steady pace, but on the twelfth lap, Evans appears to concentration again as for the second time in the race he goes wide and puts wheels on the grass – luckily Pentus is again not close enough to take the lead. However, Evans luck runs out at the end of lap 15 as his engine cuts out on the exit of the final corner and this time Pentus does take the lead. Evans gets back up to speed, but Pentus has too much of an advantage and Evans too little time to make a difference. The victory goes to the Estonian driver in a race that started well, but dried up in the second half of the even; however even Pentus must realise that he lucked into this victory following a number of errors by the young Evans. For the next event, the top six finishers in this race swap around giving 6th place Bamber the pole position and Pentus 6th place on the grid. Like many other junior formula’s that exist currently in motor racing, the Toyota Racing Series employs a Sprint race to follow its earlier feature event and like many other sprint races, the grid line-up in their finishing positions from the previous run, but with the top six reversed. With that in mind Earl Bamber and Andrew Waite lead the field ahead of Lucas Foresti, Daniel Jilesen, Mitch Evans and feature race victor Sten Pentus. The lights go out to start the 12 lap sprint race and Waite jumps straight into the lead as Bamber gets a bad start again, while behind them Jilesen squeezes Evans off onto the grass before the first turn – the you New Zealander gets back on track, but drops to 8th place. Foresti has enough speed to get by Bamber into 2nd place, just as the stewards rule that Waite jumped the start, thereby handing the race leader a 5 second penalty. All Foresti has to do from here is stay close and the victory is his whether he passes Waite or not. 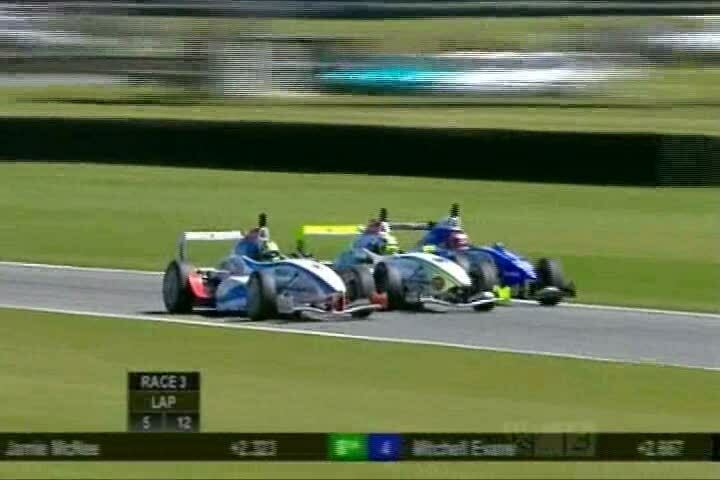 As the laps tick by, challenges are offered, by all asunder, but it is not until the 5th tour that a move is completed as Evans, Jamie McNee and Alastair Wootten go three-wide into the first corner – the de facto overtaking place for the weekend at Teretonga Park. Evans goes down the inside of Wootten and makes the pass stick, but in a brilliant piece of opportunistic racing McNee gets by both of them and into 6th. By the start of lap 8, McNee has already set his sights on Sten Pentus, but cannot get a move on the Estonian, who is now determined to finish the weekend with the Championship lead. This race definitely had a lot less going on than the previous event, as it consisted of a number of challenges, but little actual passing. Not the finest victory Foresti will ever take – he had to just sit behind Waite, while Bamber never looked like challenging him at any stage. Following Andrew Waite’s 5 second penalty for a jump start, the young New Zealand driver falls down to seventh place, thereby promoting everyone from Foresti to Evans up one position. So after Round 1, Sten Pentus leaves Teretonga Park with the series lead ahead of Evans and Jilesen, but can the Estonian maintain his run of results for the rest of the season. Behind this group, Wootten falls into the clutches of Stefan Webling, who once again is trundling around in 9th place. A quick battle between the two leaves Wootten with a broken front wing, thereby compounding a poor weekend for the Dart International driver. He trails around for a lap, but is black flagged and made to retire. Up front and nearing the end of the race, Waite still leads, but the all the cars down to seventh place are within 4 seconds of him – his inability to pull out a lead could see him fall well back in the final standings. As the cars cross the line, second place Foresti celebrates the victory despite being second on the road – he knows he has done enough.